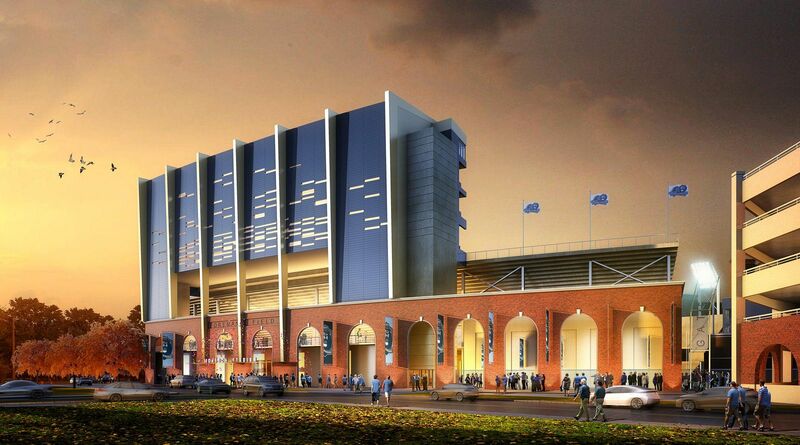 Plans of moving to a new stadium were drawn in 2013 as a direct result of Monarchs progress. Having moved to Foreman Field in 2009, the team had sold out all games and advanced to Conference USA, resulting in increased demand for regular and hospitality seating. In 2013 the plan was to demolish part of the on-campus student housing and build the stadium near Foreman Field. However, this would be time-consuming and expensive as relocation of 700 students would have to be carried out. Instead, in 2015 local construction giant S.B. 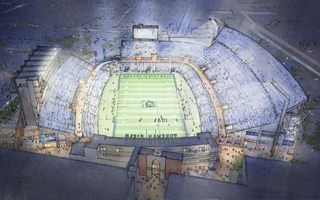 Ballard proposed rebuilding Foreman Field into a new form. 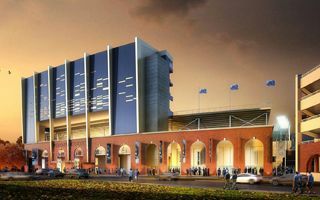 Because the dated stadium (east/west stands built in 1936) didn’t allow expansion, it would be torn down completely, only except for the 2009 pavilion behind its southern goal. The new phased development would include a lower main grandstand in the west, topped by impressive corporate/press tower. 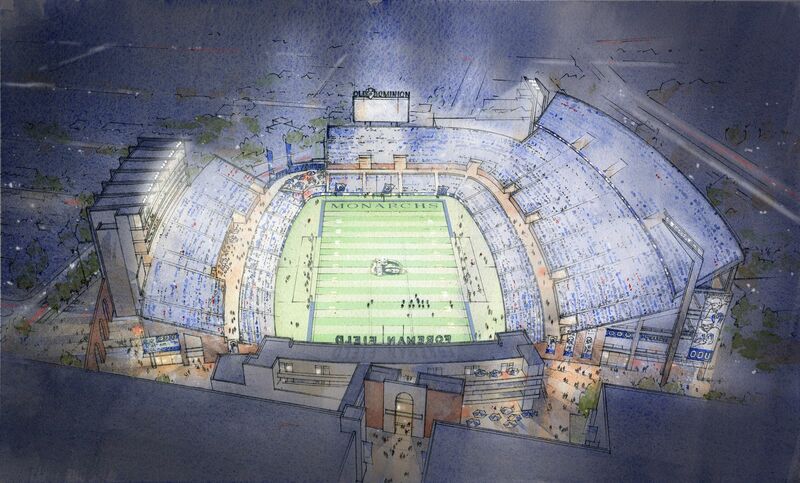 East side would be much larger and include majority of the regular seating. With a brand new layout and improved facilities, this stadium would enable expansions if needed. It’s also estimated to cost half of the 2013 plan, which could exceed $245 million.